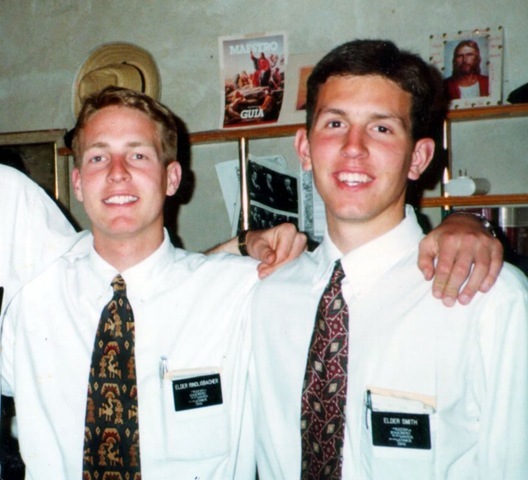 The second area I served in during my mission was called the Rural Ward in the city of Santa Fe. I had an experience there that I will always remember that taught me the power of the Book of Mormon. One day we had an appointment to teach a first discussion to a man named Eduardo and his family. We were doing splits that day, so I went to the appointment with one of the zone leaders, Elder Rindlisbacher (he and I pictured to the right). We arrived at the appointment and sat down with the family in an outdoor terrace area. To our surprise, the family had invited a friend to the appointment. This friend turned out to be their preacher, and he had come ready to contend with us. Initially, the preacher sat back and listened as we began teaching the first principles of the discussion (God the Father, Jesus Christ our Savior, Prophets, etc.). But soon the preacher began to ask contentious questions in an attempt to stump us, and before long he was lecturing to us and we could hardly get a word in. After listening patiently for 15 minutes or more, I finally decided to pull out the Book of Mormon and read some passages from it. I did this in an attempt to testify of the truthfulness of our teachings, more than to directly answer his questions. To my surprise, at the moment I pulled the Book of Mormon out of my bag, the preacher became quiet. I suddenly found myself with a captive audience, so I read a verse or two of scripture from the Book of Mormon and testified that the book was of God, that it taught of Christ, and is a testament to the truthfulness of the Mormon Church. After that day, we unfortunately never taught that family again. Yet I will never forget that moment, nor the power of the Book of Mormon displayed that day to touch hearts through the Holy Ghost and silence opposing forces. 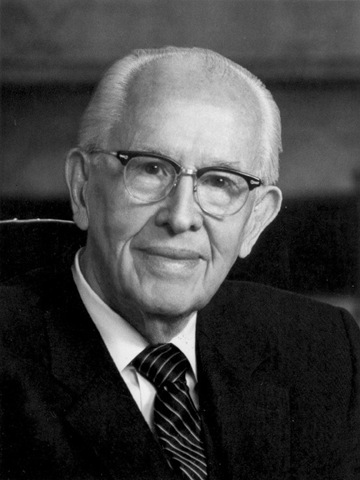 President Ezra Taft Benson said, “We are to use the Book of Mormon in handling objections to the Church… All objections, whether they be on abortion, plural marriage, seventh-day worship, etc., basically hinge on whether Joseph Smith and his successors were and are prophets of God receiving divine revelation. “Therefore, the only problem the objector has to resolve for himself is whether the Book of Mormon is true. For if the Book of Mormon is true, then Jesus is the Christ, Joseph Smith was his prophet, The Church of Jesus Christ of Latter-day Saints is true, and it is being led today by a prophet receiving revelation.” (A Witness and a Warning, 4–5). I know that the Book of Mormon is true. I have read it, I have prayed about it, and I have received a witness from God that it contains the words of Christ. It is perhaps the most powerful tool missionaries have because it brings the Spirit, which then teaches, testifies and converts hearts and minds. You will be a more powerful missionary by studying the Book of Mormon and knowing it well enough to use it frequently in your teaching. And for you future missionaries, I encourage you to read and gain a personal testimony of the Book of Mormon now. 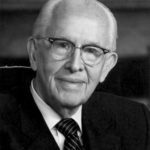 By so doing, you will be a more prepared missionary, and thus a better instrument in the hands of the Lord.